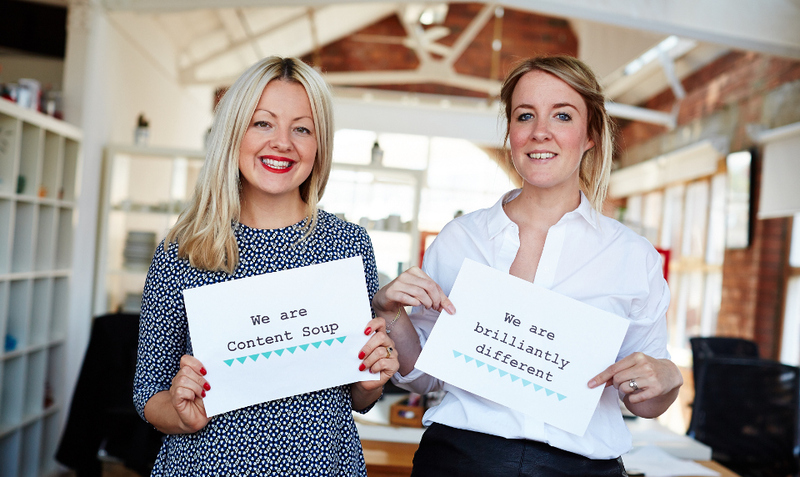 Founded by Jasmine Headley-Craik and Nina Hands, Content Soup is an ambitious Leeds PR agency that bridges the gap between traditional PR and SEO. Think of us as brand publishers, seamlessly blending PR, social, experiential and copywriting into a compelling content mix that ignites positive reactions towards your brand – both on and offline. With years of high profile PR and communications experience, we know how to make your brand stand out. We’ve got client side experience too, which drives us to deliver the best customer service out there and generate top quality results, whilst making your life easier in the process. Whether you’re an established brand who wants more from your content and PR support, or a start up business looking for some advice, try our Soup. Sadly, we no longer support Internet Explorer 7 and below.